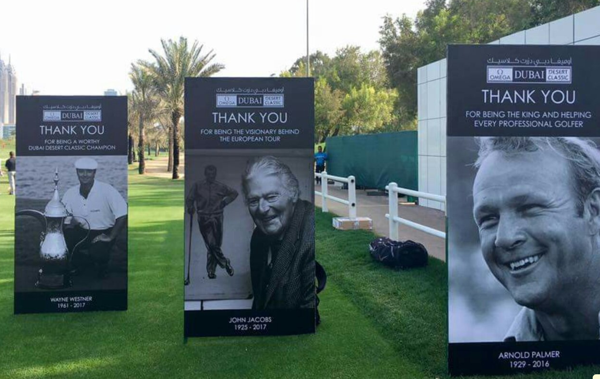 This is the first time I have seen such a tribute to several influential golf personalities who have passed away in the last year, so huge credit must go to the organisers at the Dubai Desert Classic and European Tour for this. 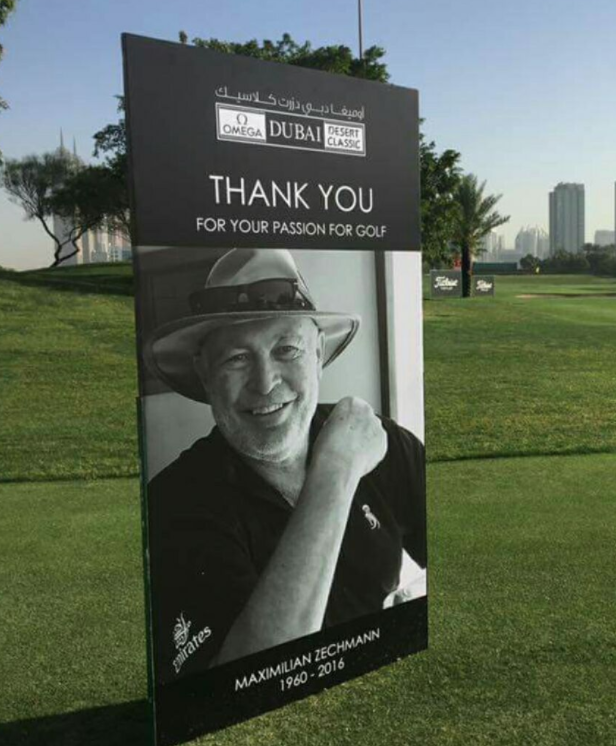 Caddie Max Zechmann who died suddenly last July at the Ladies Omega Dubai Ladies Masters was remembered in one of the posters. Arnold Palmer, John Jacobs and Wayne Westner who died in tragic circumstances at the end of 2016 were also remembered. Trubutes to Wayne Westner, John Jacobs and Arnold Palmer at the Dubai Desert Classic. 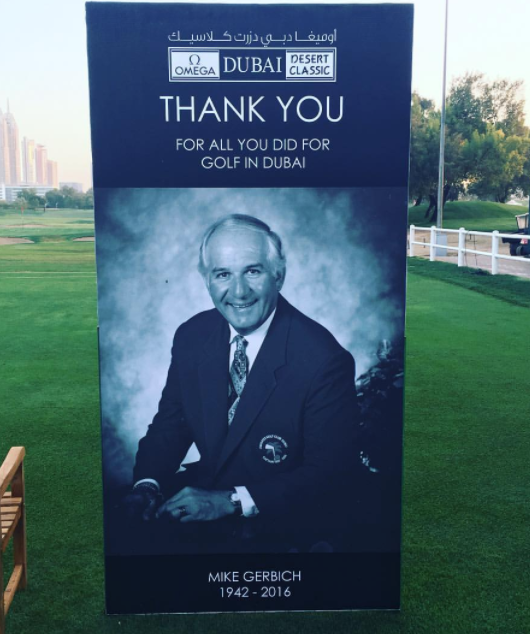 Also posted was a tribute to the hugely popular Mike "The Gerb" Gerbich referenced by Henrik Stenson when he won The Open last Summer.